As Venezuela spirals deeper into crisis, US prosecutors have tied seven luxury Manhattan apartments to a $2.4 billion currency-exchange scam involving the South American country’s “boligarchs” and its embattled socialist regime. That designation comes courtesy of the bribery and money-laundering allegations against one of the accused businessmen, Venezuelan TV mogul Raul Gorrin, who has close ties to President Nicolas Maduro. 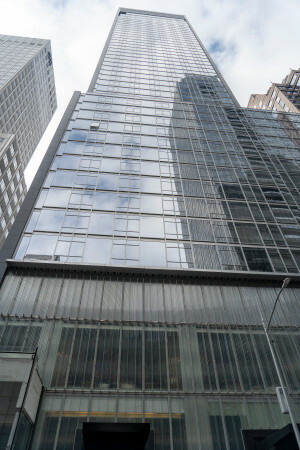 The properties include a 4,557-square-foot pad on the 47th floor of the Baccarat Hotel and Residences, across from the Museum of Modern Art, that Gorrin bought through a holding company for $18.8 million in cash. Another apartment — a full-floor home at 330 E. 57th St. — was purchased for $2.4 million in cash by a holding company controlled by Gorrin’s brother-in-law. Gorrin, who owns the Globovision news network, is currently on the run from an 11-count indictment unsealed last year in Miami that accuses him of conspiring to violate the Foreign Corrupt Practices Act by helping to launder more than $1 billion in payoffs to crooked Venezuelan officials starting in 2008. The move came just weeks before opposition leader Juan Guaidó invoked a provision of Venezuela’s constitution to declare himself president, amid dire economic conditions and allegations that Maduro’s May 2018 re-election was fixed. Maduro, the country’s foreign minister from 2006 to 2012, was vice president under Hugo Chavez before taking over when the Venezuelan strongman died in 2013. Under Chavez arose the boligarchs, a privileged class akin to Russia’s oligarchs and so named because they prospered under his so-called Bolivarian revolution. Gorrin has been accused of using his position as head of Globovision to try to squelch anti-Maduro sentiment. Last month, the opposition head of Venezuela’s Congress gave a defiant speech against Maduro that was carried live by several web broadcasters — while Globovision aired a prerecorded cooking show, according to The Associated Press. 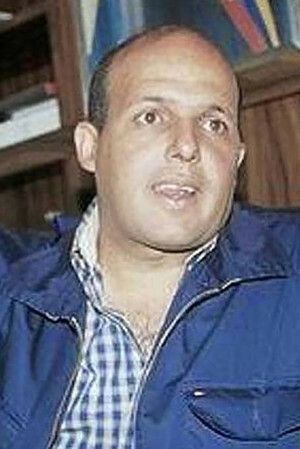 Admitted conspirators in the currency-exchange scheme also include former Venezuelan national treasurer Alejandro Andrade, a onetime bodyguard to Chavez. In a cooperation deal with US prosecutors, Andrade secretly pleaded guilty in 2017, saying he pocketed more than $1 billion in bribes from Gorrin and others. As part of the scheme, Andrade said, he would give Gorrin and others access to Venezuelan government-owned US dollars, which they would then turn in for bolivars through corrupt exchange houses at a rate much higher than the official one. The conspirators would then give back a fraction of the bolivars to the government — as if they had just sold the dollars at the lower official rate, authorities say. That still left the crooks with a massive surplus of bolivars — all off the back of the government — which they kept for themselves and to splurge on Andrade, officials say. He was sentenced to 10 years in prison and is set to surrender Feb. 25. Andrade — who took all his payoffs in goods and services instead of cash — agreed to let the feds sell off his hoard of crooked assets, including a Palm Beach, Fla., home, a 10-acre horse farm, three homes in nearby Wellington and a sprawling Spanish-style mansion in Delray Beach. In addition, Andrade coughed up a fleet of 10 vehicles — including a 2015 Bentley convertible, a 2016 Porsche SUV and three late-model Mercedes-Benzes — and a collection of 35 gold, platinum and titanium watches made by Rolex, Hublot, Patek Philippe, Audemars Piguet and other luxury brands. 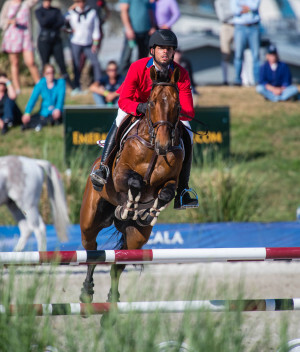 But the first items being sold off by the feds are 14 of the 17 show-jumping horses bought for Andrade’s son, Emanuel, 22, who finished 61st at the 2016 Olympics in Rio de Janeiro for Team Venezuela. Andrade’s buddy Leonardo Gonzalez allegedly helped hide his ill-gotten gains by buying the horses, whose names include Bonjovi and Tupac van de Vrombautshoeve Z. The thoroughbreds will be auctioned off online from Feb. 19 through 26. Previews that concluded Monday at the Delray Beach Equestrian Center were limited to registered bidders who each put down a $50,000 deposit. Another conspirator who struck a cooperation deal with the feds is Gabriel Arturo Jimenez, who said he schemed with Gorrin and others to buy Banco Peravia in the Dominican Republic in 2010. Banco Peravia laundered proceeds from the scheme, the feds say. Jimenez, who lives in Chicago, was sentenced in December to three years in prison but given until June to surrender. Others implicated include Andrade’s successor as national treasurer, Claudia Diaz, and her husband, Adrian Jose Velasquez, a former chief of security at Venezuela’s presidential palace, who allegedly accepted bribes on her behalf. They live in Spain, according to the Miami Herald, and are among those sanctioned by the US last month. Meanwhile, Gorrin and other government-connected businessmen are separately being investigated for allegedly laundering $1.2 billion from Venezuela’s state-run oil company, PDVSA. Those who benefited from the fraud include the three stepsons of Maduro, authorities say. The Manhattan properties tied to Gorrin’s alleged wrongdoing were all purchased in cash by various holding companies between August 2010 and November 2017, city records show. Only two deeds actually bear Gorrin’s name — those for the Baccarat Hotel condo and the 11th floor of 330 E. 57th St., for which he paid $2.33 million. Prosecutors linked two other floors in that building, the ninth and the 12th, to Gorrin, and property records show a purchase deed for the 12th floor signed by his brother-in-law, Gustavo Perdomo, who last month was slapped with sanctions. Prosecutors filed “lis pendens” against six of the seven apartments listed in Gorrin’s indictment. The filings serve as legal notice that the government “has a claim against them,” said Washington, DC, lawyer Bruce Zagaris, who specializes in international criminal law. “Even though there is not yet a forfeiture suit, they have effectively blocked movement of the properties because a lis pendens is a cloud on a title,” Zagaris said. He also noted that once a lis pendens is filed, a property owner — even one who purchased the property innocently — “has to prove they are innocent of a wrongdoing” to get it removed. “Such cases can take years,” he said. Three of the apartments have since been sold, with one — the ninth floor of 330 E. 57th St. — changing hands twice. The owner of that property told The Post that “the purchase and everything has all been through real-estate agents and lawyers” and that his apartment “has no relationship whatsoever” to Gorrin. The new owner wouldn’t give his name, but property records and online photos identify him as Eric Somnolet, whose LinkedIn page says he is president and owner of Manhattan Direct Marketing. 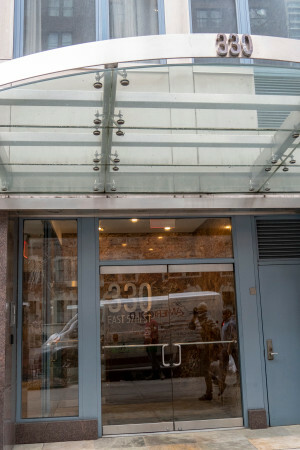 The 11th-floor apartment was also sold by Gorrin’s RIM Properties Group of New York in July 2018, with the deed signed by Gorrin’s wife, Maria Alexandra Perdomo. She also was among those sanctioned by the Treasury Department last month. The buyer, who paid $2.25 million in cash, was Sunrise Leisure LLC of Atherton, Calif., with property records showing that the company’s “sole member” is Jean Henri Lhuillier, whom Forbes says runs a chain of pawnshops in the Philippines founded by his father. Lhuillier told The Post that he didn’t know Gorrin and declined to answer further questions. A rep for the US Attorney’s Office in Miami wouldn’t say why only six of the homes were slapped with the claims. Gorrin’s lawyer, Howard Srebnick, didn’t return a call for comment. He has previously denied any wrongdoing by Gorrin, according to reports.